Will hardship break your family or bring it together? 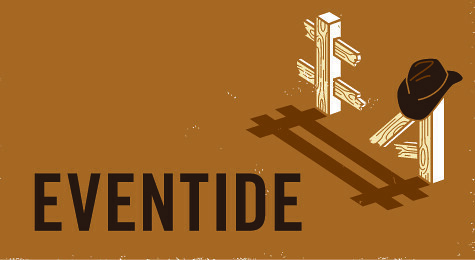 Capitol Hill Books’ customers have a unique opportunity to see Colorado author Kent Haruf’s novel “Eventide” come to life as a play produced and performed by the Denver Center Theater Company. Haruf’s book is about the McPheron brothers and their adopted daughter Victoria of fictional Holt, Colorado, and is a simple yet affecting story about the struggles of tradition in the face of modern turbulence. You can find a bit more information about the play here. Capitol Hill Books is teaming up with the DCTC to offer special discounted tickets to see the play adaptation, which runs from January 29 to February 27 at the Stage Theater in the Denver Center for Performing Arts complex. Our tickets are just $19 when you use a special promotion code only available if you come into the store and pick up a discount card. There are a few limitations, but this deal can’t be beat when you consider tickets are normally $34 and up. So come on into the store and grab a discount card and then see a truly Colorado story brought to the stage. This entry was posted in Uncategorized and tagged Denver Center Theater Company, great deals, Kent Haruf, plays, special promtions, tickets. Bookmark the permalink. ← Happy 30th Anniversary Capitol Hill Books!